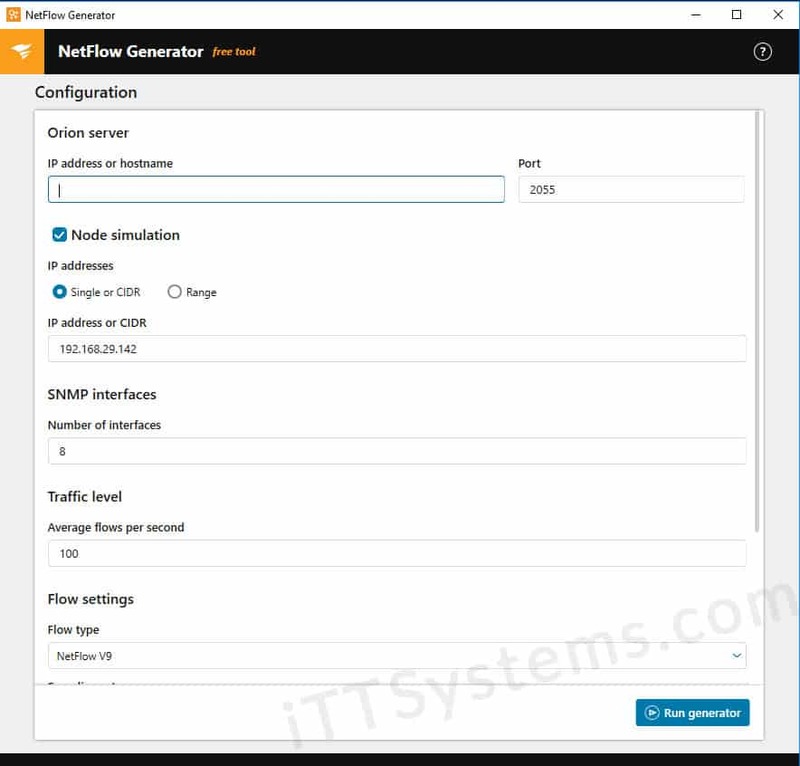 NetFlow Generators are devices that are used specifically for Creating Netflow traffic on the network and are able to quickly create or simulate flow packets on your network without any actual devices. 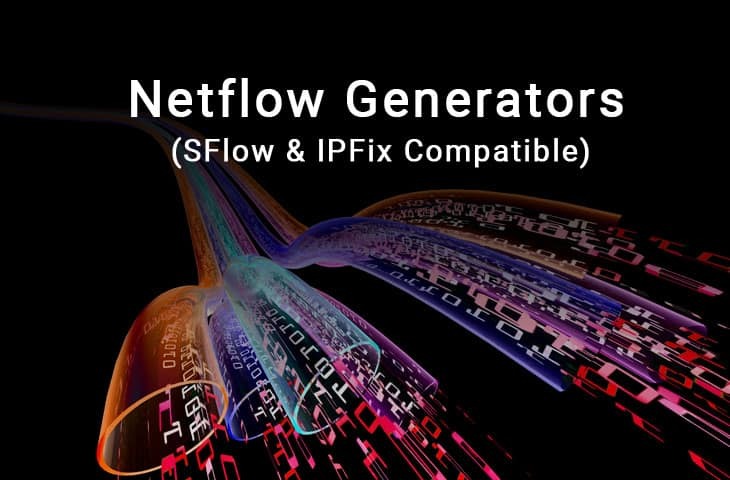 NetFlow Generators are able to create NetFlow records (and other Flow packets including Sflow & IPFIX) which are then sent off to a NetFlow Collector so that all of the generated data can be ingested by special software and then sorted into meaningful data for application developers, security experts and network administrators. If your not Looking for a Netflow Generator, but rather a Network Traffic Generator, you can find a full list of network traffic simulators here! 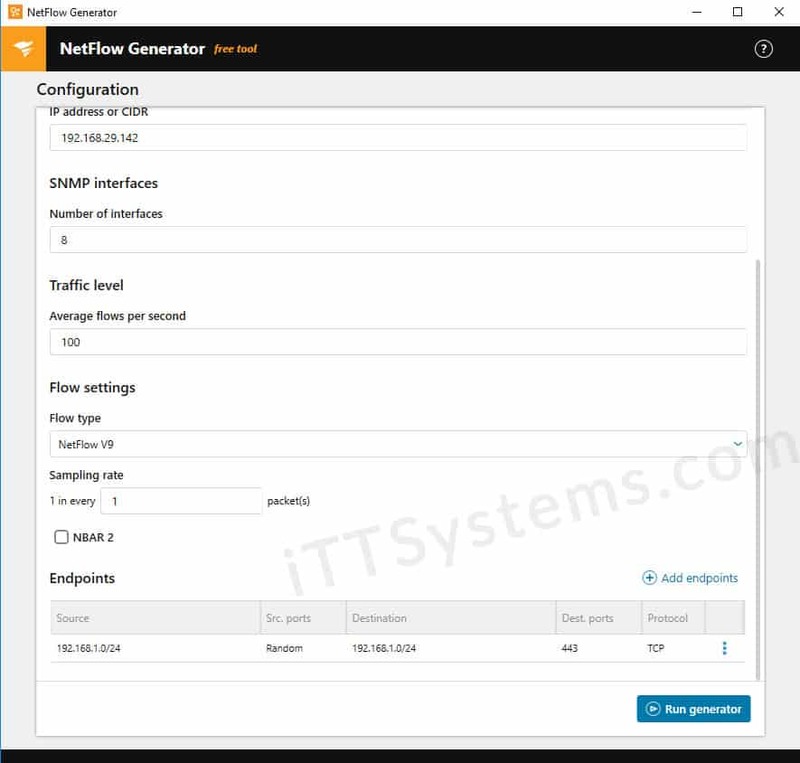 We will be looking at some popular NetFlow generators that are commercially available, and take a brief look at what each one does, and why you might need this function on your network. Below you'll find a quick description of each, some screenshots of the tool and download links! The Flow Tool Bundle suite is a collection of utilities that have been developed by SolarWinds to help you to create your own flow data so that you can analyze and investigate specific metrics on a given network. It allows users to quickly distribute it, set up test parameters, and configure it for use in record time. This is different from legacy applications that would take days, if not weeks to fine tune and set up so that they could start capturing meaningful data. Generate Netflow V5 or V9, Sflow v5 or IPFIX traffic! It is especially useful for finding the biggest users of bandwidth on your network which is especially useful for network administrators. 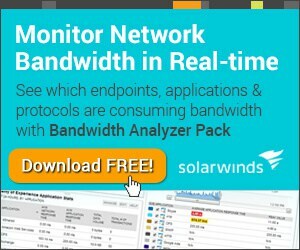 Another great piece of software that is a part of the bundled applications that comes with this toolset is SolarWinds Network Bandwidth Analyzer Pack. With this application, you can very quickly and easily detect, troubleshoot and diagnose most network related performance issues such as packet loss and collisions. It also lets your teams track the response times of pings between hosts and sites, uptime and availability as well as general network performance. Bandwidth and performance issues are a really big concern for most network teams, and Network Bandwidth Analyzer pack provides tools that will help you to monitor and track many of these performance metrics. 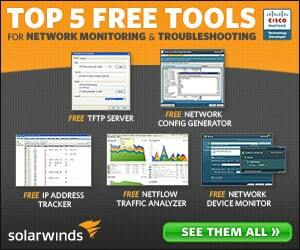 SolarWinds have created this free tool kit so that it ticks more than just a few of the Netflow generator boxes that you may be looking to fill. Because of this it is not difficult to recommend this as a tool for network and system administrators that are looking for some free tools to help make their lives a little easier at work. This application has a decidedly retro, legacy type feel to it because it was created back in 2008 originally. Luckily it still does exactly what we need it to do when testing and configuring traffic loads, so it isn’t all bad for this free tool. In the options there are a few different sections that can be used while configuring your custom loads. The Flows Group is responsible for your flow stream definitions such as the name of the Flows Group, the protocol that is being used, the source and destination IPs, as well as the size of the stream. All of there parameters are important if you are trying to simulate specific traffic types. Because this tool is so straight forward, there is not too much else to say about it, other than the fact that it is light weight and surprisingly responsive. It is able to generate sample traffic flows for businesses and IT departments in a quick and simple way that is still customizable and easy to use. If you would like to try this tool out for yourself then you can find the download link right here. 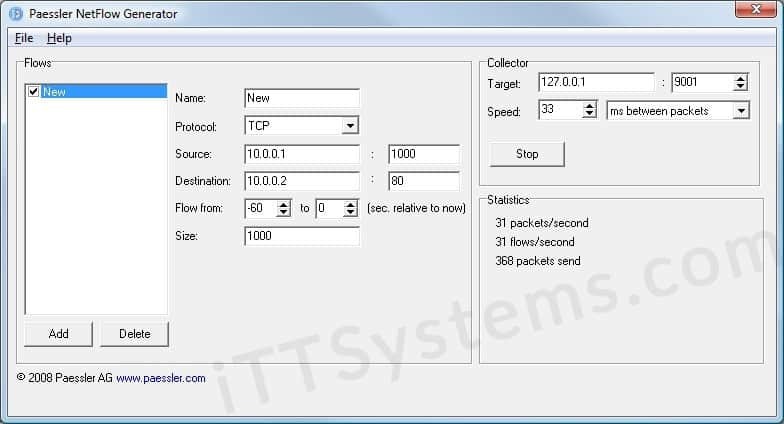 Flowalyzer NetFlow Generator is an application that has been designed specifically for the testing as well as the configuring of hardware and software for creating, sending and receiving NetFlow and sFlow data as well. It is generally best described as being a helpful tool for IT professionals that need to troubleshoot and fault find hardware from multiple manufacturers and vendors. 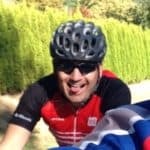 This is a great way to get your environment set up for whatever application or new system that you are trying to get implemented and running on a live site or production environment. Find out which device is in a flow-sending state and is transmitting at the highest rate and volume. It allows you to display the packet count as well as the version of NeFlow data that is being sent over the network. It is also a great way to see what UDP port flows are being received on, which is really important if you are troubleshooting. It will show the IP address and DNS name of the devices that you are testing. Generate NetFlow data that helps you to find out if the destination collector that you are trying to communicate with is actually accepting flows. It can help you to send NetFlow data in both version 5 and version 9 structures and formats. It will also be able to help you to determine if the end point and destination collector is failing to collect all of the data, and if any drops are occurring. It does this by comparing all of the flows that have been sent versus the flows that have been received on the other end. Flowalyzer offers a wide range of additional products that you can use for all of your testing and troubleshooting needs, such as IP Device Poller, NetFlow and sFlow Configurator, NetFlow and sFlow Communicator, as well as SNMP Trender. 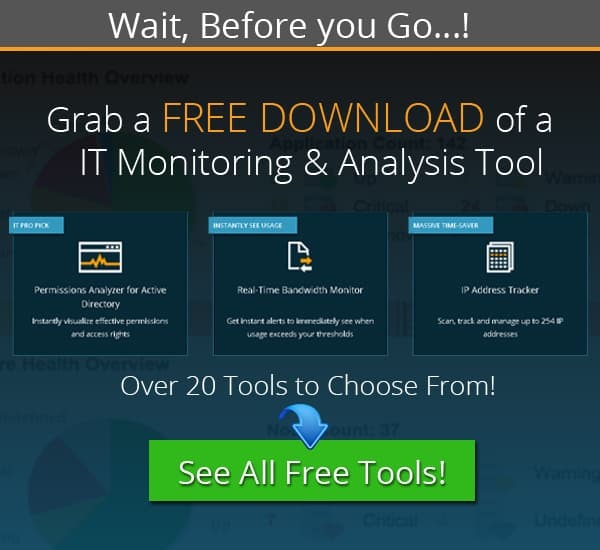 Grab a Download from the link below to get started using this tool in your network! There are many different applications and uses that you need NetFlow generator software for. While it is especially useful for developers and support staff to have a solid understanding of how NetFlow software works and is used, it is also useful for network administrators and systems technicians, It lets you know how devices are functioning, as well as what ports are open on the network, which allows you to find faults quickly and easily. If you are trying to replicate an issue then a NetFlow generator can help you to do exactly that, which makes life a lot easier when you are trying to prove an issue to a vendor or supplier. Hopefully you have found this information useful, and that you can start using NetFlow generator software in your own work environment.